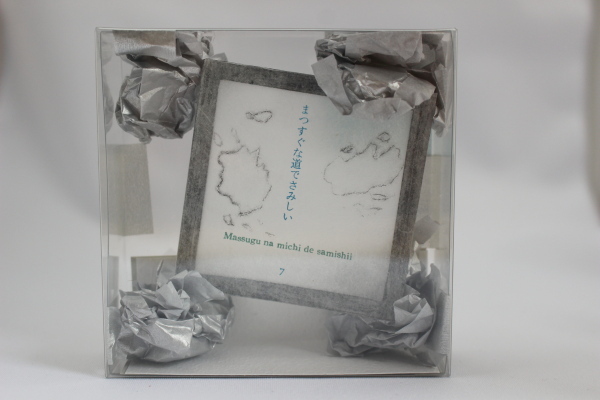 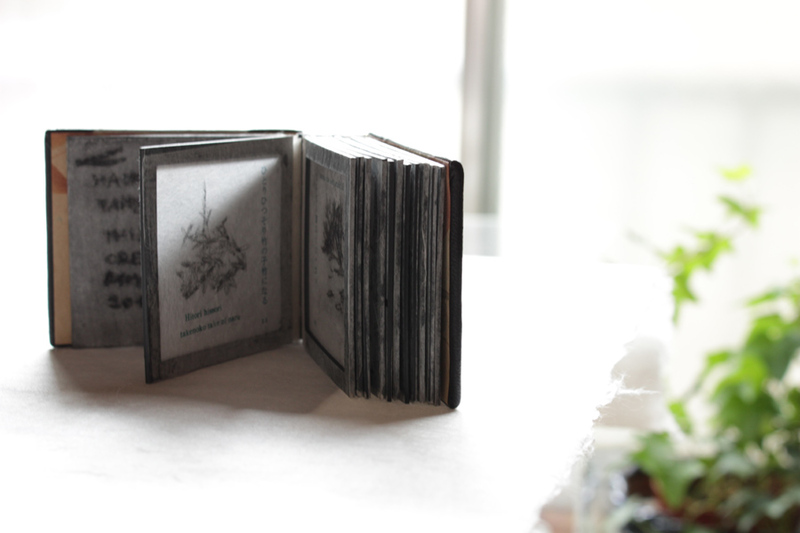 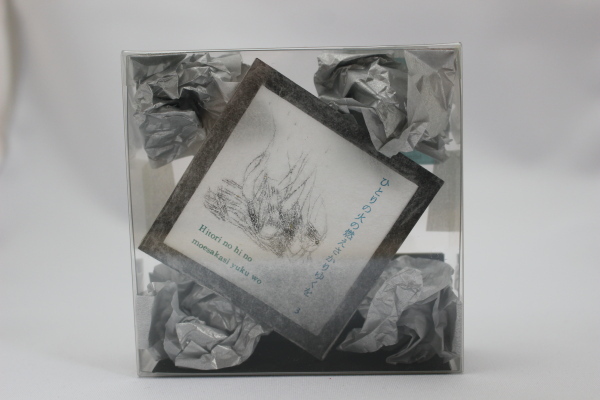 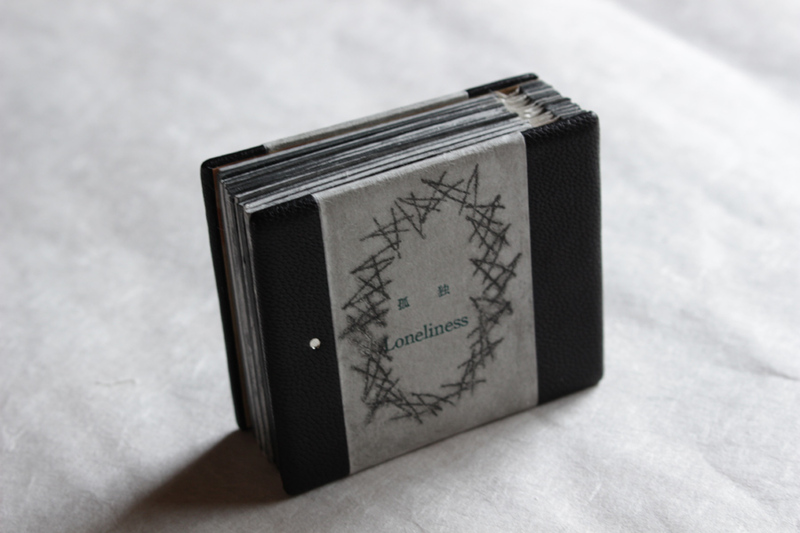 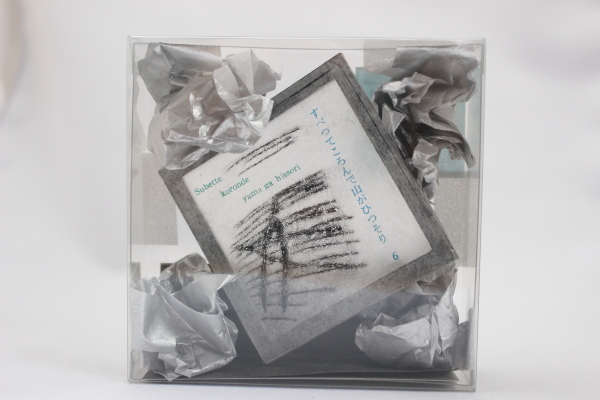 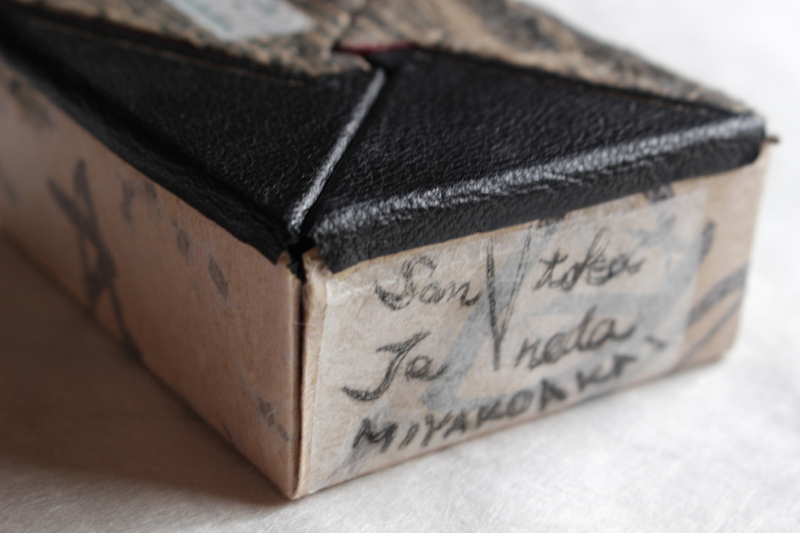 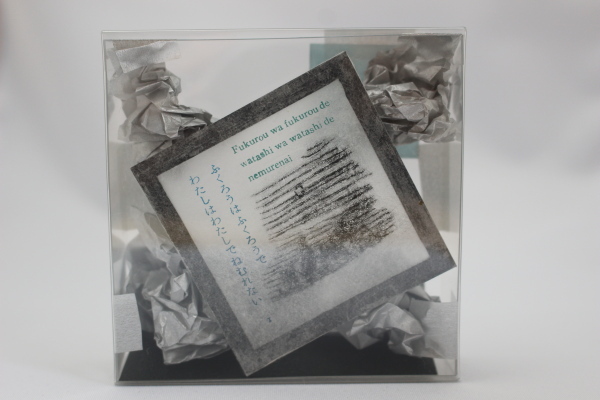 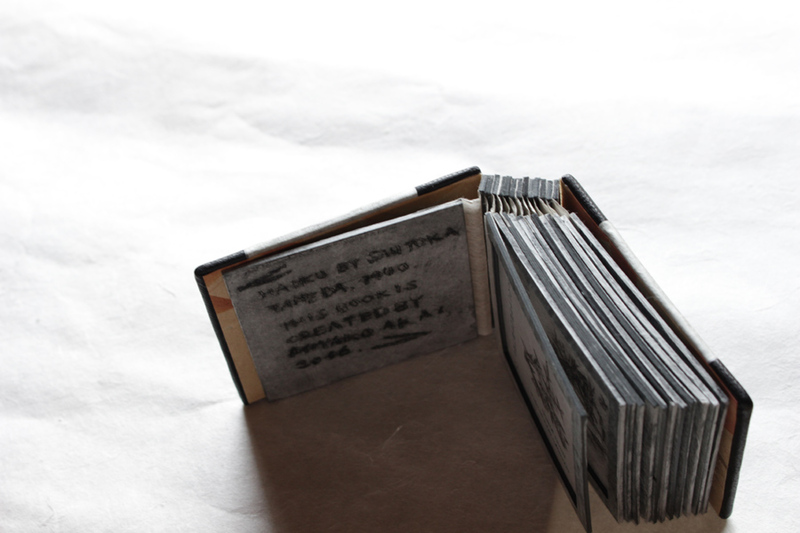 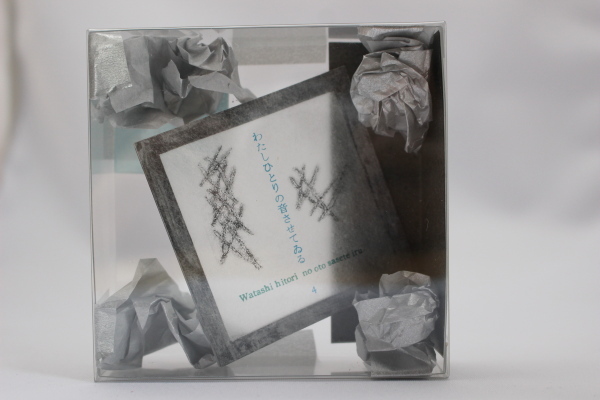 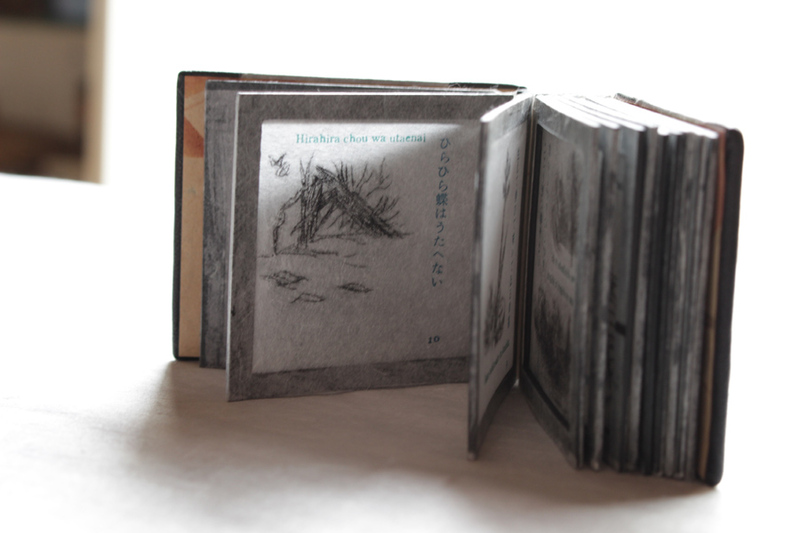 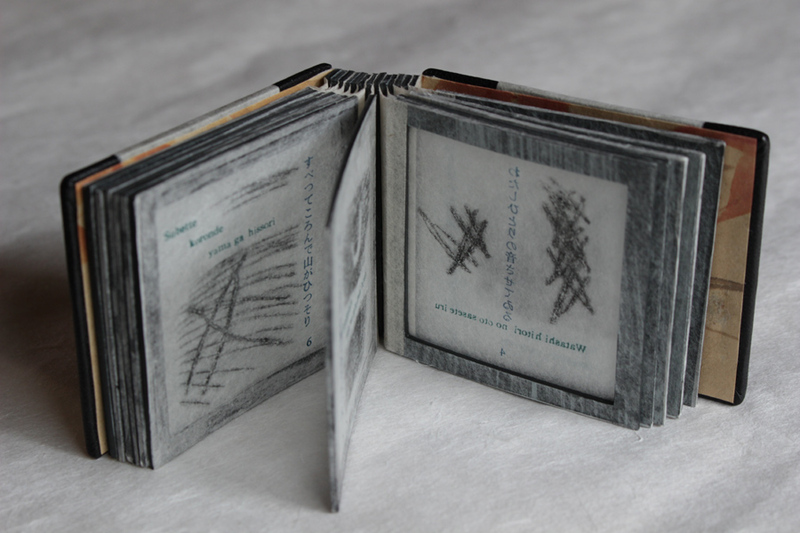 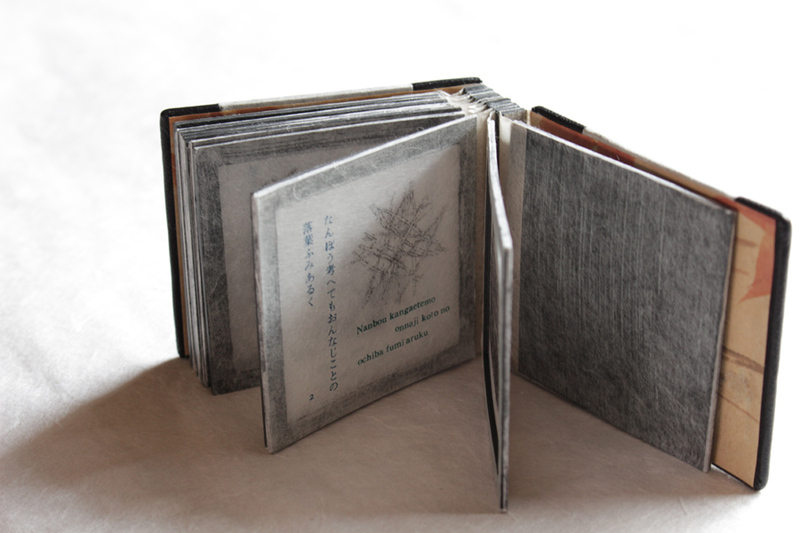 From Santoka Taneda's "Sou moku tou"
One page from the miniature book Loneliness. 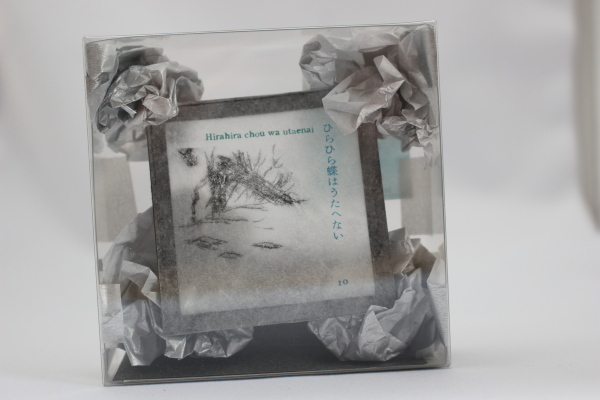 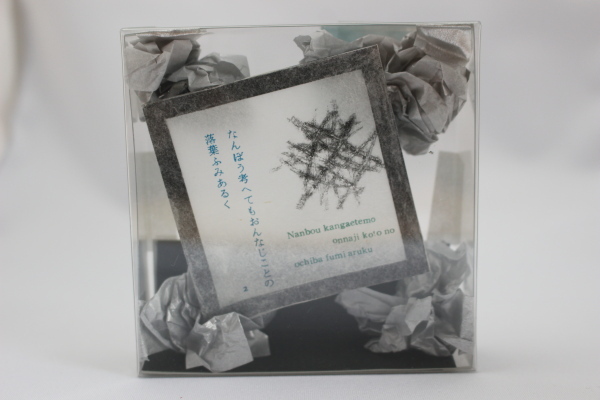 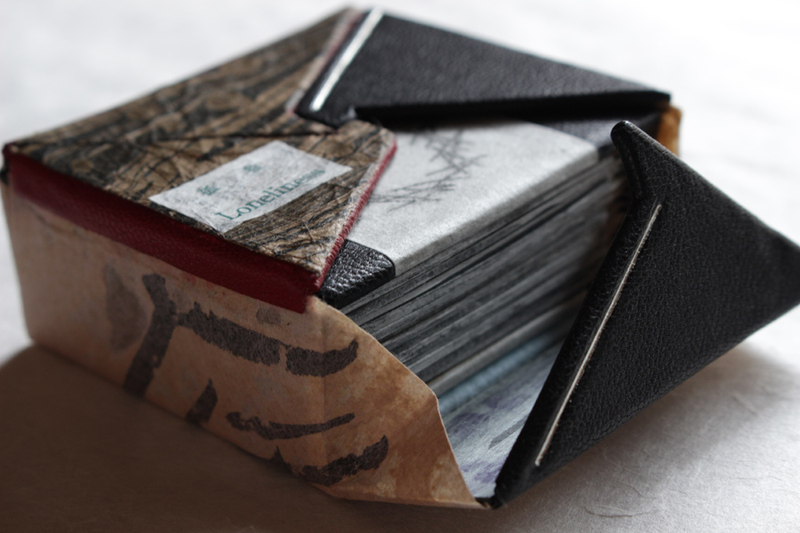 Thin Japanese paper and hand cutted paper frame. 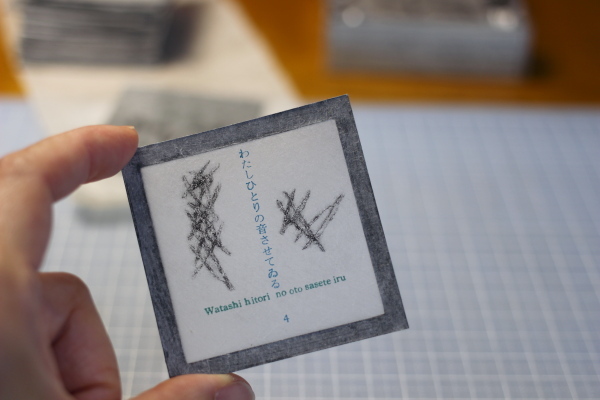 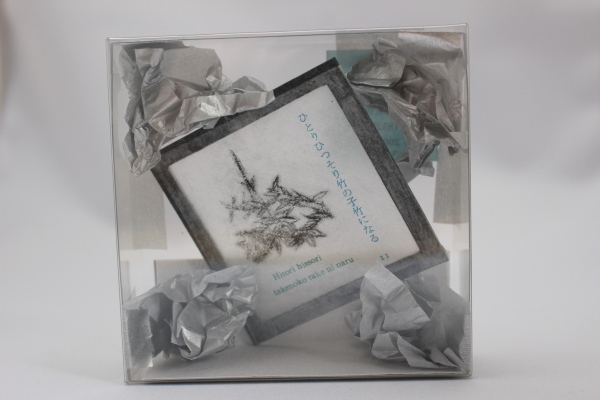 Letterpress 2 times and drypoint. 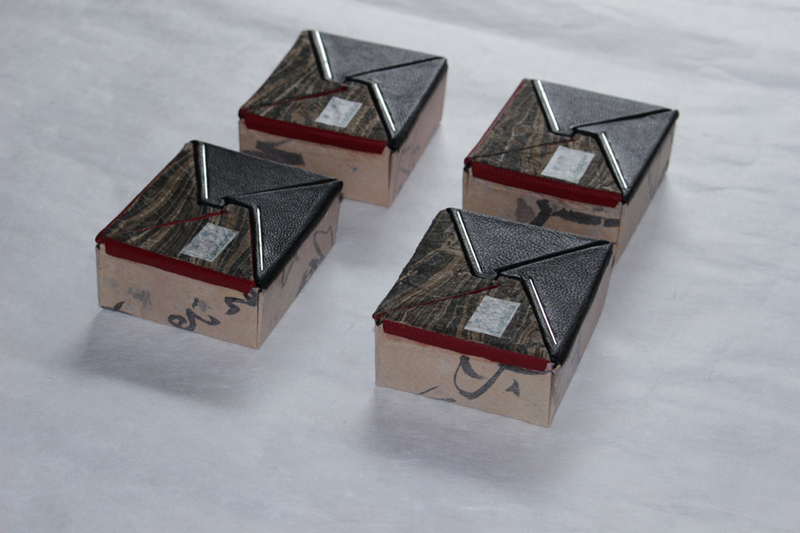 Magnets inside. 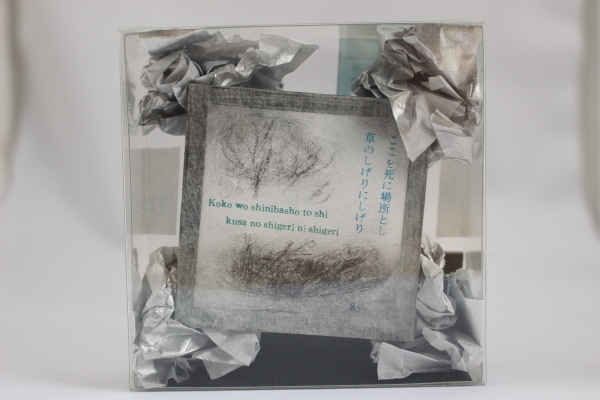 Please do not bring close to heart pacemaker.